I tried to make the deck only using cards up to exile, but I like a couple of the other Genkai character cards from later sets better. switch to Genkai Resurrected and Yuu Taboo Master (plus territory) for exile format. 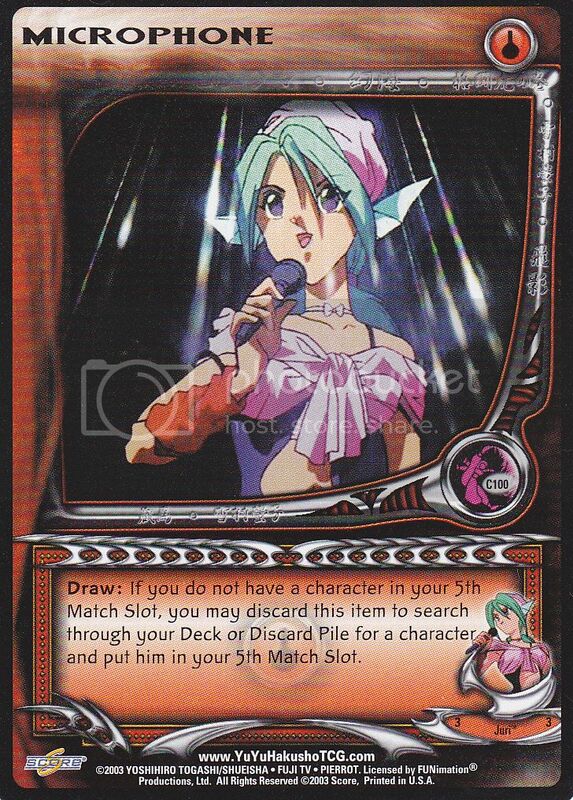 but want to test with Genkai the Wise and Kiyoshi M. as they flow with the theme of the deck better. perhaps will try to use this. Gaining 6 spirit for Spirit Energy Explosion seems a little excessive, at least to me. But I do wholly like the sideline effect. 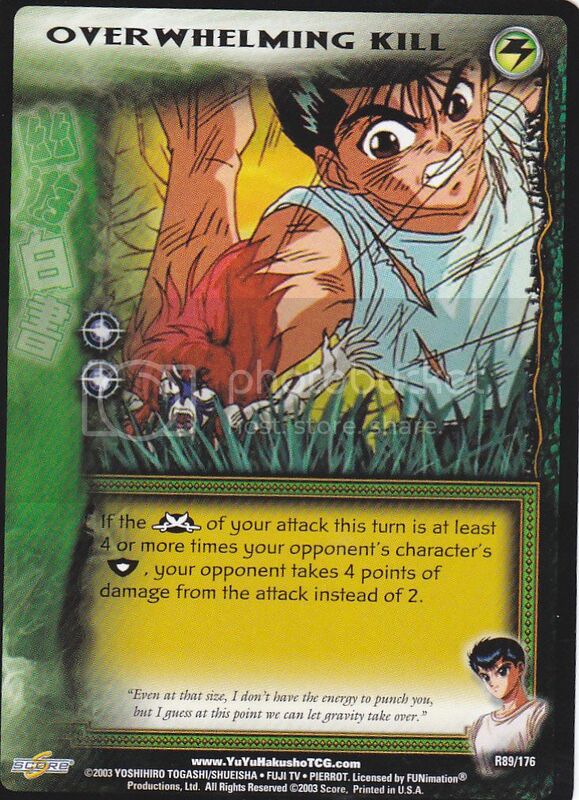 In the discussion on the Card "Kuwabara, Honorable Friend"
So, just noticed this. Anyone else in the Yu Yu world get a chuckle at the ATK value being "420"? In the discussion on the Card "Demon Compass"
Actually, the version shown is the Betrayal version with the most updated text for the card. 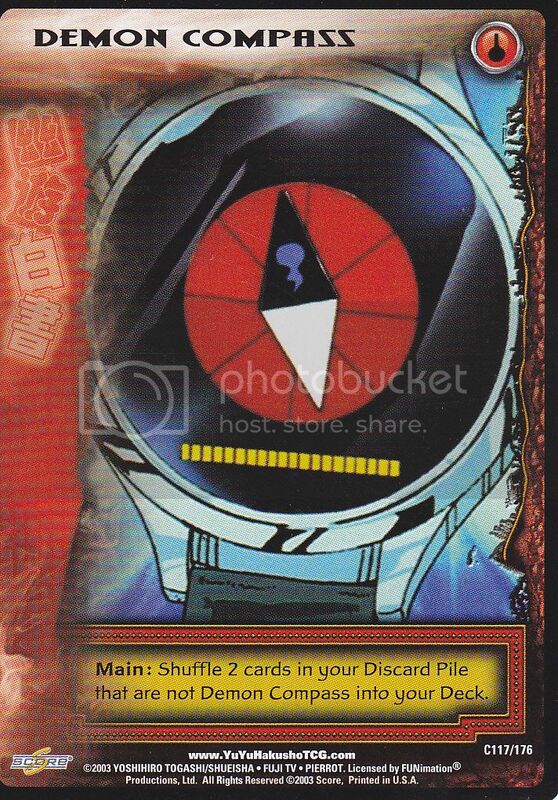 The one from Ghost Files is still legal for play but requires the use of the new rulings on Demon Compass. 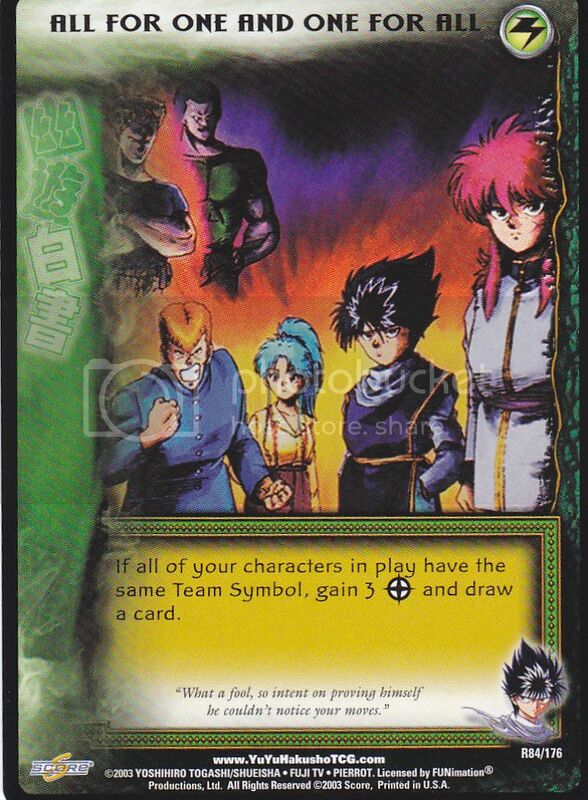 In the discussion on the Card "Microphone"
In the discussion on the Card "Overwhelming Kill"
In the discussion on the Card "All For One and One For All"